This is another lovely flower of the open hillsides. 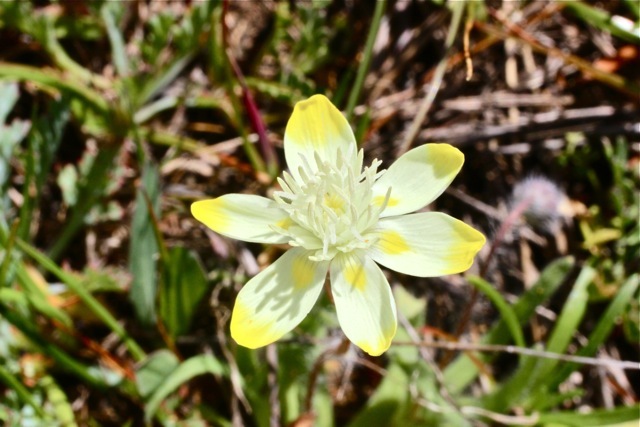 Cream cups (Platystemon californica) have buttery yellow splotches on their tips and toward the middle of each pale yellow petal. Each blossom is perched atop a reddish, wiry stem that is covered with sparse but stout hairs. A mound of hairy, silvery-green leaves provides a base for this pretty showing. 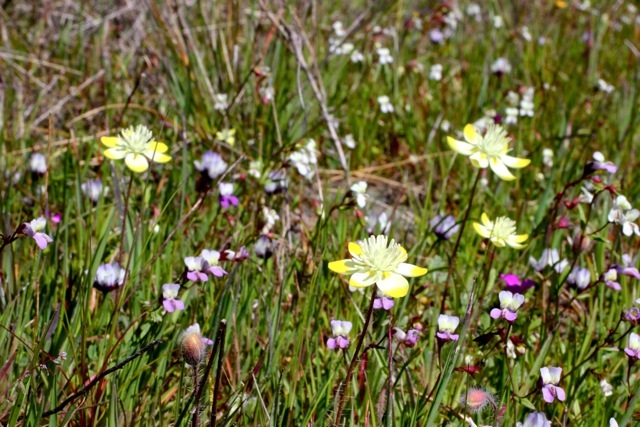 Cream cups were once much more common in open fields, particularly following fire–but today they have been crowded out by more aggressive non-native grasses and weeds. 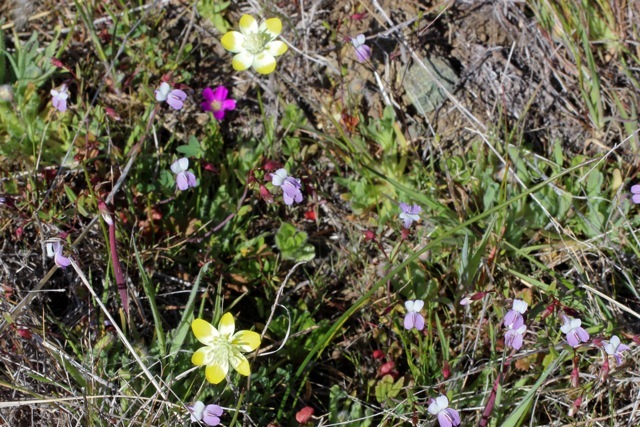 Cream cups tolerate serpentine soils, which is one place you can find them growing in large numbers–because their invasive competitors can’t survive there. There are some suggestions that the hirsute leaves are edible, but I would do more research before noshing on them. In fact, I might not eat them anyway–they don’t look very appetizing (but then, I don’t like peach fuzz, either). 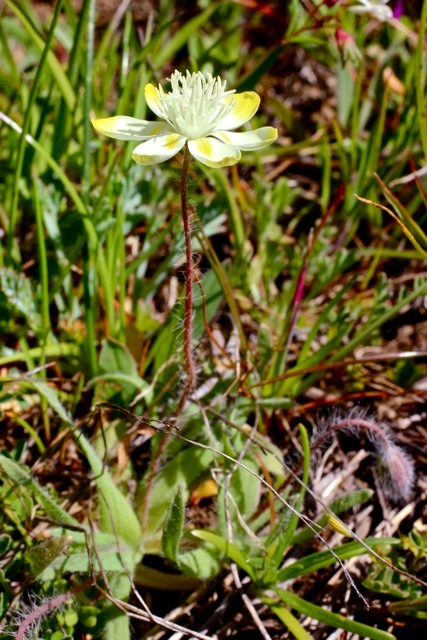 Cream cups are in the Papaveraceae, the same family as poppies and bleeding hearts.